Published: January 30, 2018, Author: Rÿser Rudolph C.
Witness this: China is committing cultural genocide against more than eleven million Uyghurs in their homeland of Uyghuristan northwest of China and there is essentially nothing being done by the international community to prevent, stop or prosecute the crimes. I want to explain a little about the situation in Uyghuristan first; and then go a little deeper to explain why what China is doing is genocide that must be addressed immediately by the international community. You will see why this is all critical as we see many Fourth World nations suffering under invasion, occupation and killings similar to what the Uyghurs are experiencing and what the Rohingya in southwestern Burma are also experiencing. States cannot be permitted to continue the carnage. Since the Peoples’ Republic of China under Mao Zedong and his successors annexed Uyghuristan the Uyghurs have pursued their independence and have frequently attempted to call the world’s attention to China’s cultural genocide against the Uyghurs. 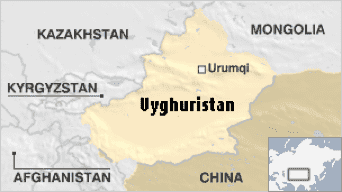 Until China claimed Uyghuristan in 1949, the Uyghur population constituted more than 94% of the total population in the country. China has systematically relocated Han Chinese into Uyghuristan reducing the Uyghur proportion of the total population to a little more than 45%. Effectively the Chinese have committed cultural genocide by invading, occupying and attempted to replace the Uyghur population with its own population. 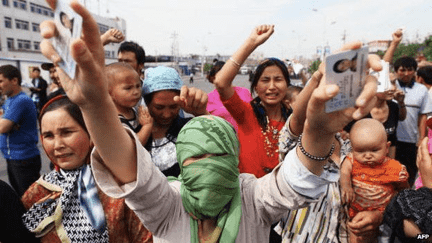 The Uyghur resistance is strong and persistent to the point where the Chinese government as recently as 25 January 2018 began placing Uyghurs in “re-education camps” to force their fealty to the Chinese government. They have imprisoned tens of thousands and, under the veil of “terrorism” as their justification, killed many thousands more. Since 1945, when scholars describe the “beginning of genocides” they claim that there have been no fewer than 181 “genocides” – that is instances where human beings have been massively killed with the intention of destroying that human population. The Center for World Indigenous Studies is conducting a study of “Genocides against Fourth World Peoples” to learn about the extent of genocide (in the Lemkin sense and in the latter-day scholars’ sense) committed against Fourth World peoples and what alternatives exist to establish justice and prevent occurrences of genocide. By simply examining the continental figures for Africa, the Americas, Asia, Europe and the Middle East gathered by contemporary scholars tabulating the killings of groups by particular perpetrators we find that 156 Fourth Nations have been invaded with the resultant killing of an estimated 12.482 million people between 1945 and 2017. Up to 58 UN member state governments and the militias they supported were responsible for all 156 invasions and ultimate killings of Fourth World peoples. Our initial finding is that “governments” (Republics, Dictatorships, Empires, Kingdoms) commit the vast majority of genocides in both the Lemkin and the latter-day scholars’ sense. Governments and their functionaries (military, security forces, interior agencies, police) according to our estimate UN member states committed an average of 51% of all 181 incidents of genocide counted by contemporary scholars. That figure alone is astonishing, since invasions and killings of Fourth World nations account for about 86% of all “genocides” counted by contemporary scholars since 1945. Clearly by these numbers alone, cultural genocide and massive killings constitute a major feature of genocide over more than the last 70 years. But curiously despite the International Convention on Genocide (1948) and the Rome Statute of 2002 that created the International Criminal Court the cultural genocide of a people in whole or in part has not been prosecuted. And, of equal interest is the fact that not one of the governments responsible for invasions and then killing of Fourth World people has been sanctioned by the international community or any juridical forum. Ongoing genocides are taking place now in China against the Uyghurs, Iraq against the Yezidi, Madaeans, Zoroastrians, and Assyrians; and against the Rohingya in Burma; and many other nations too. Yes, 156 Fourth World nations have suffered cultural genocide since 1945 and not one government responsible for invasions and killings of millions of people have been called to account.